Gogora Liburutegia offers library lending and reference services for the different remembrance audiovisual and book collections of the Institute. The aim is to centralise the specialist knowledge that Basque society has accumulated over the years in the form of studies and publications and to effectively transfer the knowledge to the general public, along with supporting research studies and work. 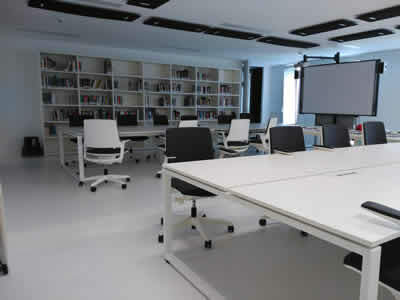 The service has a library and documentation reference area and another space particularly fitted out to access and view the Institute's audiovisual collection. Users can there consult the testimony of the victims of ETA terrorism, of the victims of GAL, BE and other terrorism, of the victims of unlawful police brutality and accounts by the victims of the Spanish Civil War and Franco's dictatorship, along with documentaries and recordings of exhumations. Gogora Liburutegia is part of the Basque Government's network of departmental libraries and its catalogue currently has over 1,000 volumes.